Ice hockey is a famously intense, sometimes physically brutal sport. While playing in our Shinny USA league takes some of the roughness out of the game, as players we still want to be fit and push ourselves to the limit physically. This makes the game more fun and gives us a reason to get into our best shape. With so many facets to the game of ice hockey, there are many things you can do to get into optimum hockey shape. Consider each of the elements below and how you can incorporate them into your weekly routine – you may find your skills improving and a new hunger to get even better! Skating requires great lower body and core strength in order to generate the power needed to move around the ice quickly and accurately. Both weight training and body weight exercises will increase strength and flexibility, which are invaluable skills on the ice. It is often helpful to exercise until you are completely exhausted, then rest for 1 or 2 minutes and begin again, as this mimics energy expenditure during a game. 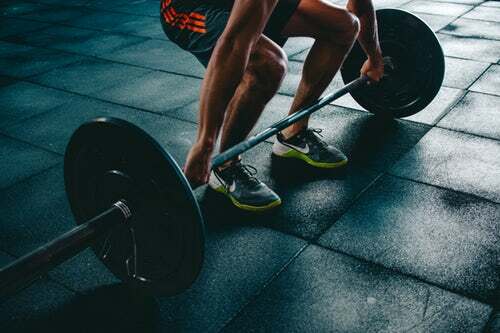 Try weight exercises such as high pulls, snatches, and dead lifts and limit your weight lifting sessions to three per week. Plyometric exercise, or exercise that involves explosive jumping, helps you to develop speed, agility, coordination, strength, and endurance. Jump squats, one-leg hops, box jumps, and skater jumps are all examples of plyometric exercise. These exercises demand that your muscles contract to explode upwards and then cause a stretch as you land, the combination of which is highly effective in developing leg and stomach muscles and improving your hockey shape. Stationary bike riding and running on the beach are two other exercises that will give you an advantage on the ice. 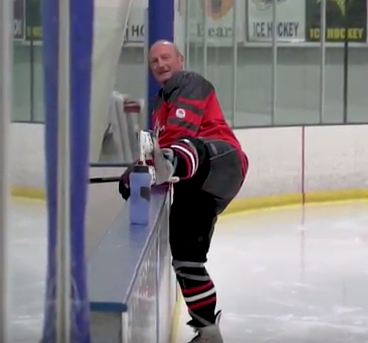 Increasing flexibility is crucial for ice hockey players. Flexibility helps to avoid injury while executing complex moves that require a great range of movement as well as the ability to react quickly to the puck and other players. At the same time, hypermobility due to over-flexibility can also lead to injury. Dynamic stretching, or stretching that includes sport-specific movement, is best utilized prior to play. Static stretching, or stretches that are held for up to 30 seconds, are best after exertion or on their own day. Off-ice training is vital to get your skating to the next level, but of course, there is no substitute for practicing on the ice itself. Working on drills, both with a stick and puck and without, will make your gameplay even more fun as you are increasingly able to take your mind off of the basics and focus more on speed, passing, and shooting. Practice skills like weaving through cones, station to station turnaround drills, and skating backwards during practice. Be sure to skate in the cold, which helps you to increase lung capacity – clearly a necessity on game day. Know yourself as a player – Get to know your strengths and weaknesses and how you best contribute to a team. Study the game — Watch videos of yourself playing as well as live matches around local rinks and NHL games. Observe skilled players – It can actually be more instructive to watch players who are more skilled than you but not at the professional level, as it is easier to observe and understand skills when players are moving more slowly. Learn common plays – learning plays and patterns will train your eye and your body to recognize them when you are in the game, helping you to react more automatically. The more you watch, think about, and play hockey, the more you will develop your hockey sense. Hockey is a grueling sport, which is why the best hockey players focus not only on pre-game and post-game nutrition, but on eating well in general to help them prep and recover. Skating in the cold adds another dimension to caloric needs as it requires your system to work harder to keep your body temperature up. In general, it’s important to get a healthy balance of lean protein, complex carbohydrates, and high-quality fats to keep your body primed for the extra activity, both on and off the ice. 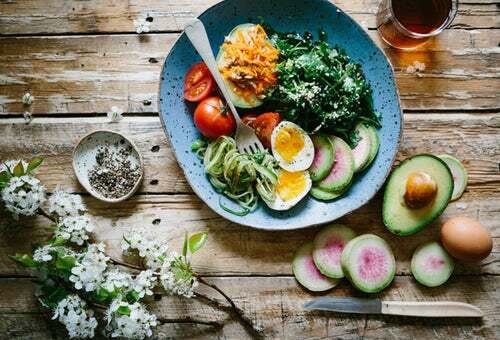 Your specific caloric needs will depend on your current condition and the training routine you engage in; it’s always best to discuss any new exercise plan with a doctor or dietitian. Experiment with pre-game and post-game meals to maximize endurance and recovery time. Two hours prior to a tough workout or game, try eating a meal consisting mainly of complex carbs, such as multigrain bread and pasta, vegetables, and beans and rice. Staying hydrated is also key. An ideal post-game meal is high in protein and relatively low in fat. Aim to consume this meal from 30 to 90 minutes after exertion for prime muscle recovery. During the game, snack on quickly assimilated carbs like fruit or energy bars to keep your short-term energy up. Getting a full night’s sleep, and avoiding cigarettes, alcohol, and recreational drugs are good habits for everyone, but particularly for those working on building strength, endurance, athletic ability and ultimately your hockey shape. 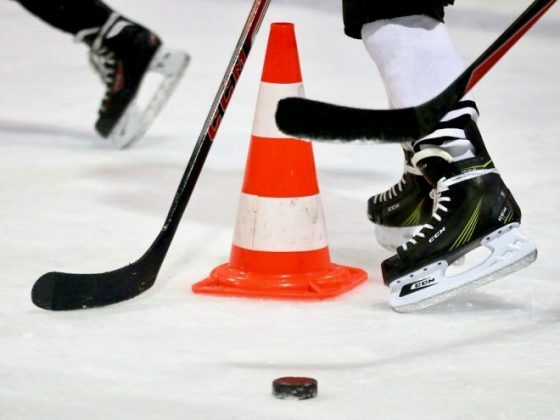 Shinny USA is a friendly, pick-up hockey league that takes place at various rinks in and around the Philadelphia area, mostly in the weekday early mornings and on some weekends. Shinny is non-competitive and recreational in nature, emphasizing the fun and camaraderie of just getting out on the ice with friends. Check out our 7 local rink schedules and find the perfect one for you. Sign up today, and we’ll get you on the ice and into a game in no time. Whether you’ve been playing since your teens or you’re new to the sport, we have a place for you at Shinny USA!